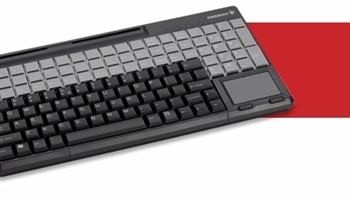 Cherry G86-61410EUADAA is a 14", USB keyboard with a 3-track magnetic stripe reader. US 135 position key layout with 32 additional keys. 135 programmable and 54 relegendable keys. IP 54 spill and dust resistant key field.